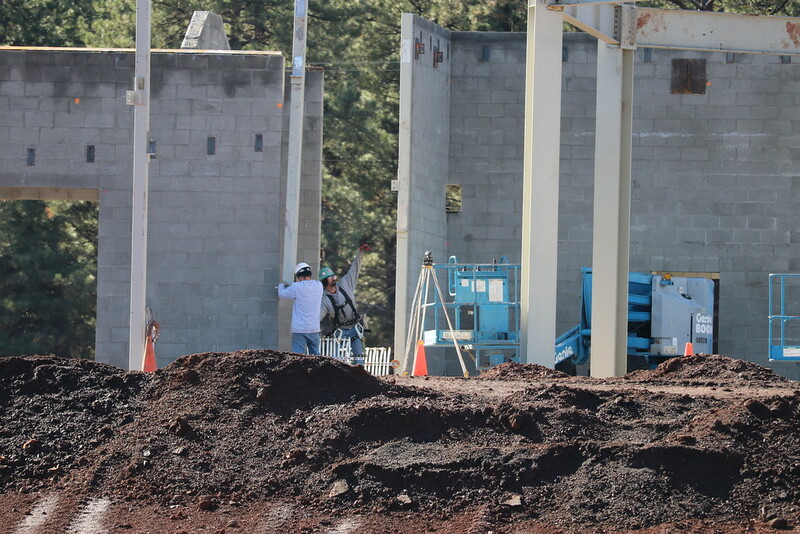 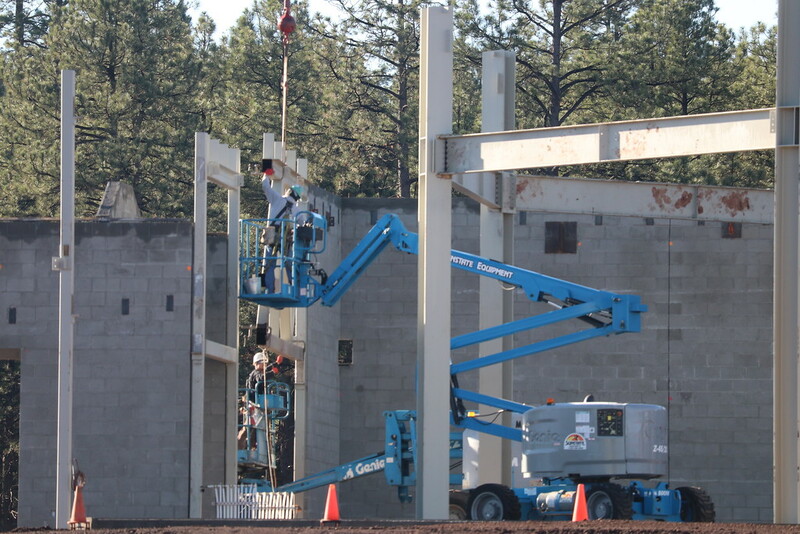 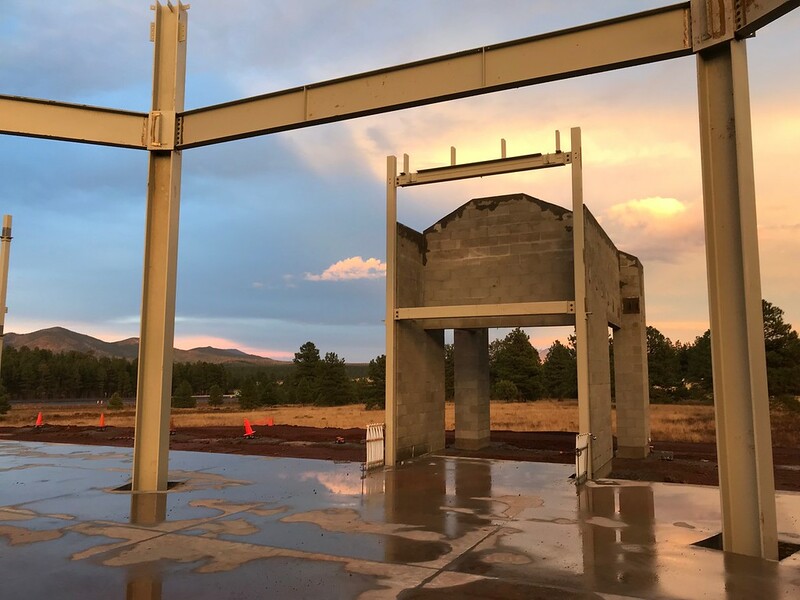 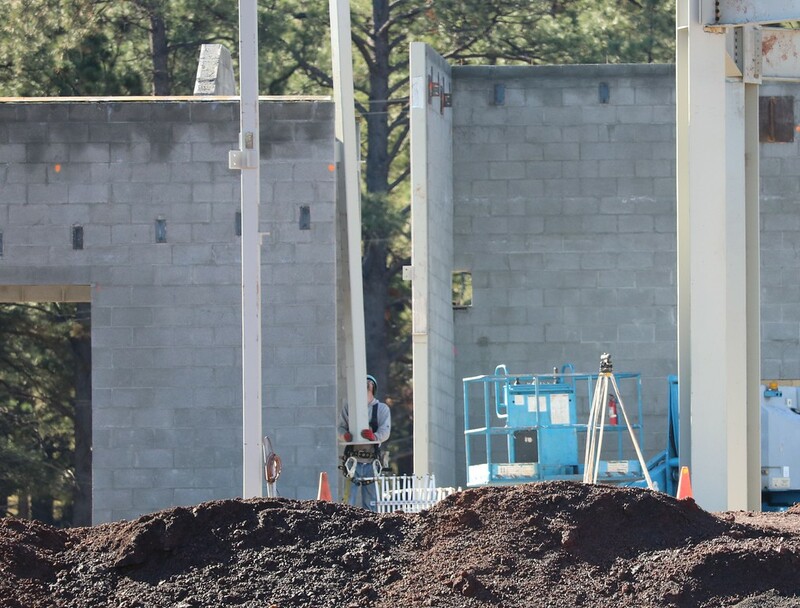 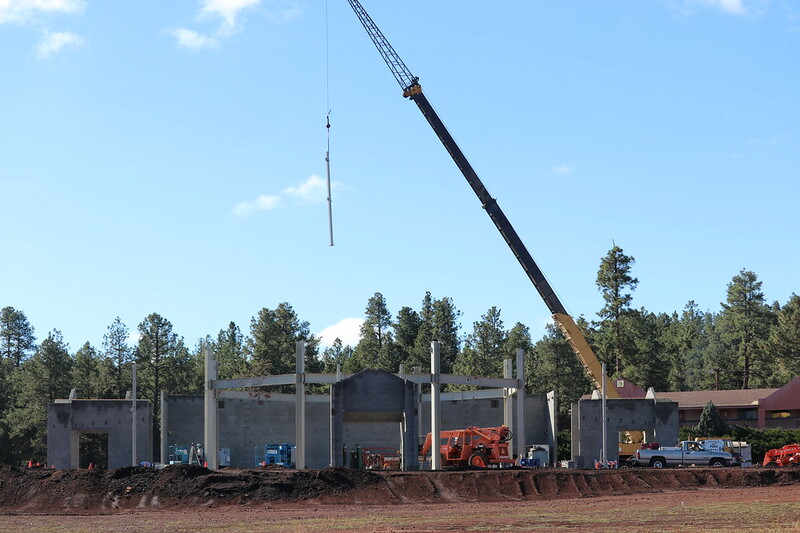 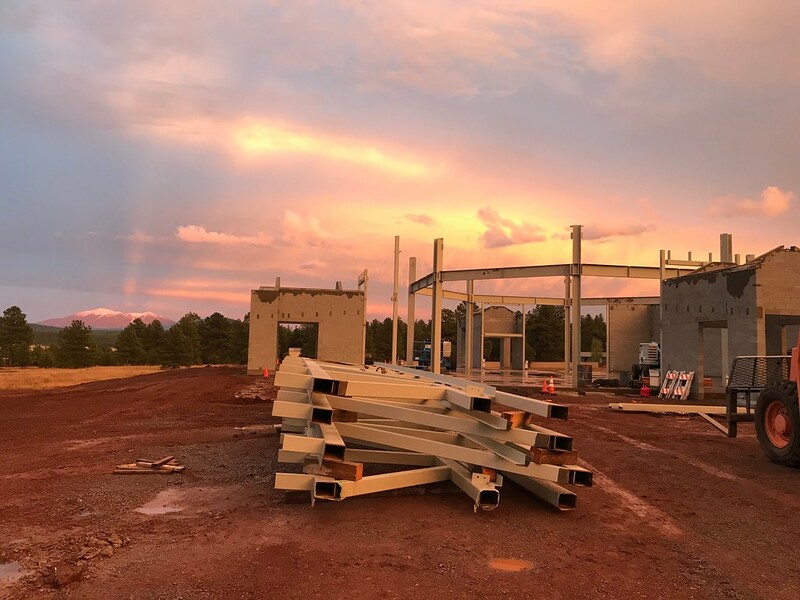 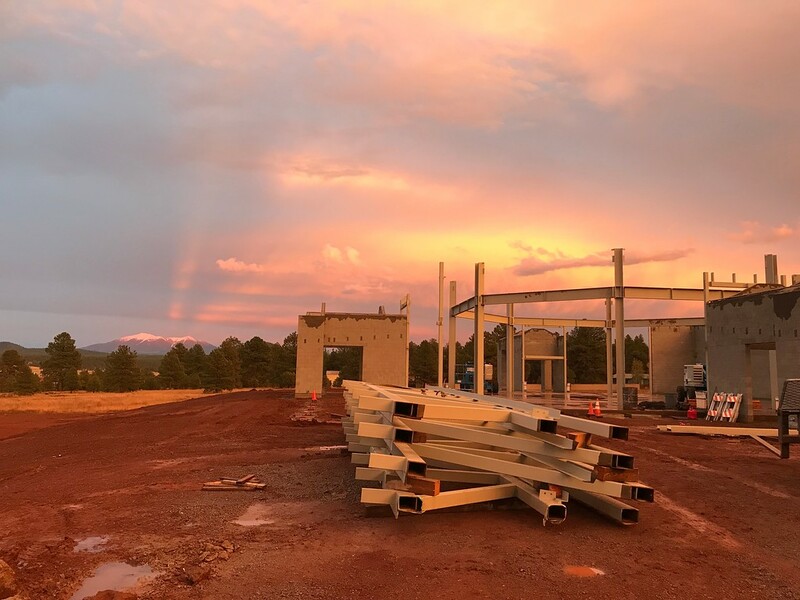 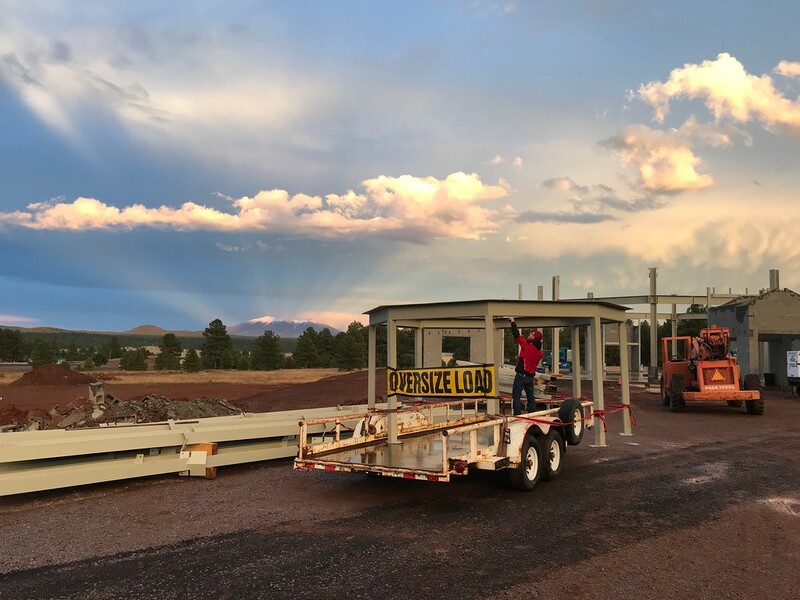 In the two weeks since the last update the walls for the four doorways were completed and work began on constructing the steel framework, beginning with the installation of the eight pillars. 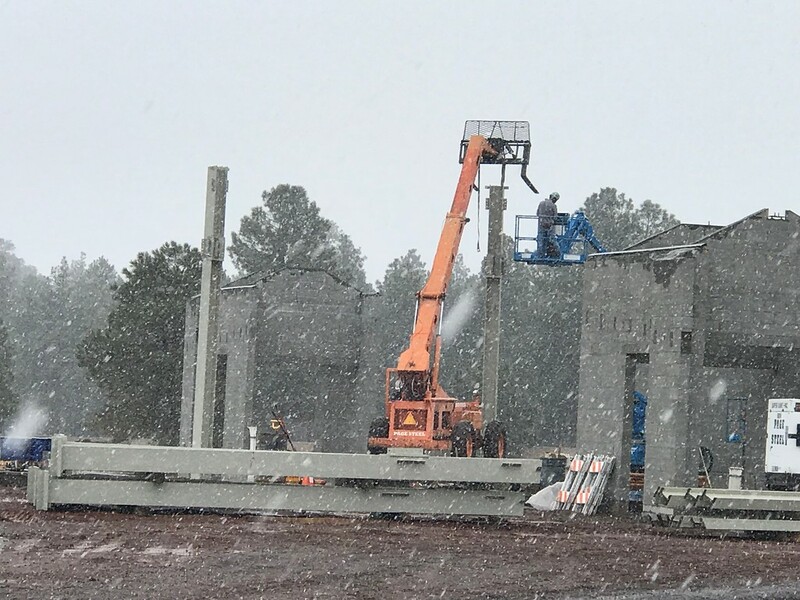 The day work began on the pillars, unseasonal snow fell, but undeterred the intrepid construction workers continued and erected all eight pillars and linked them with the ring beams. 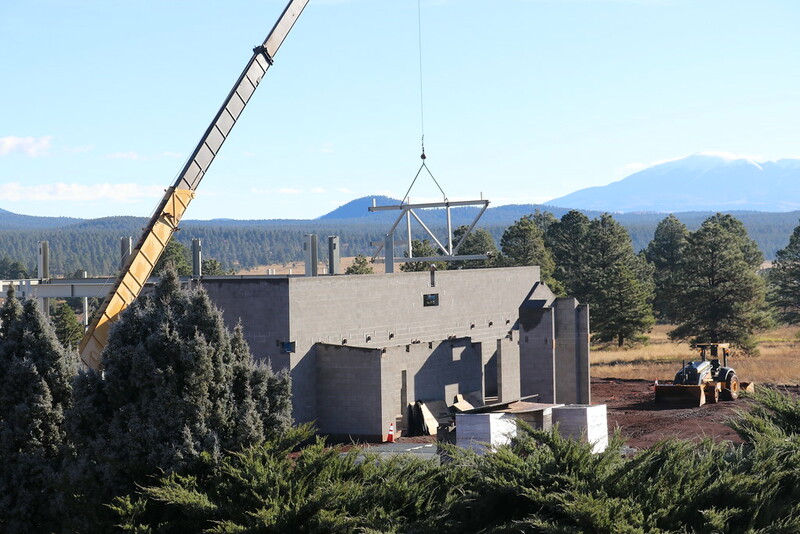 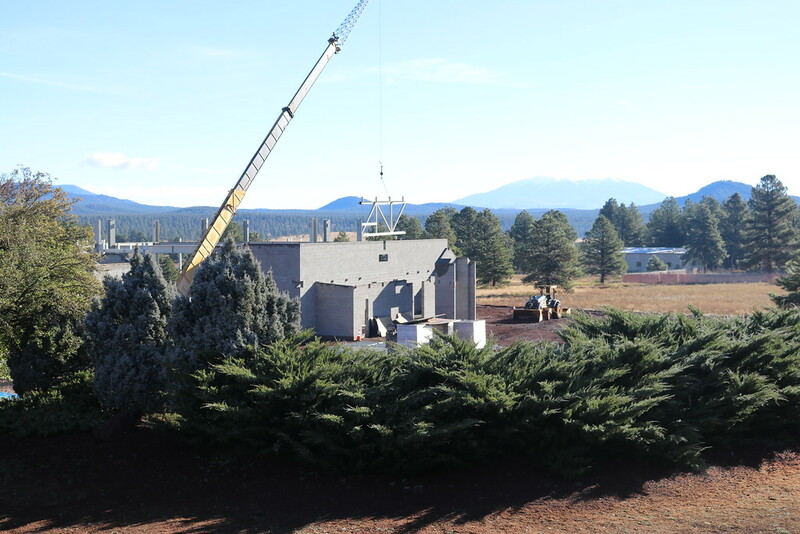 The roof trusses are also now in place. 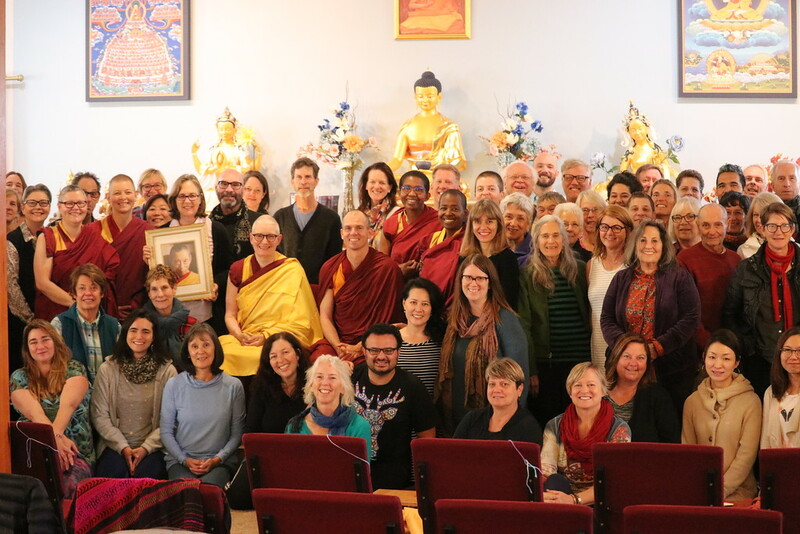 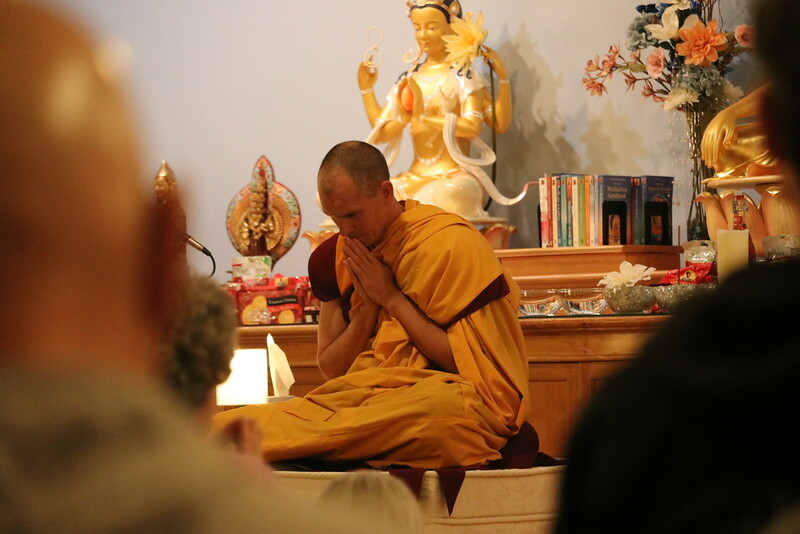 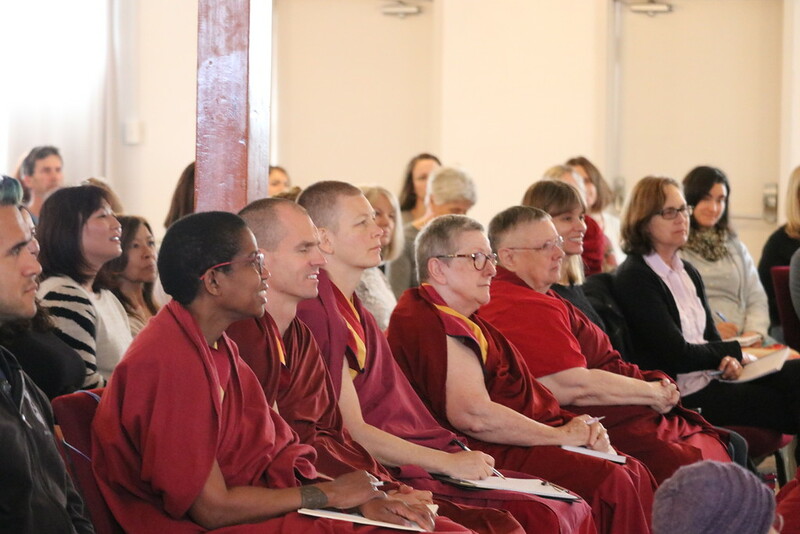 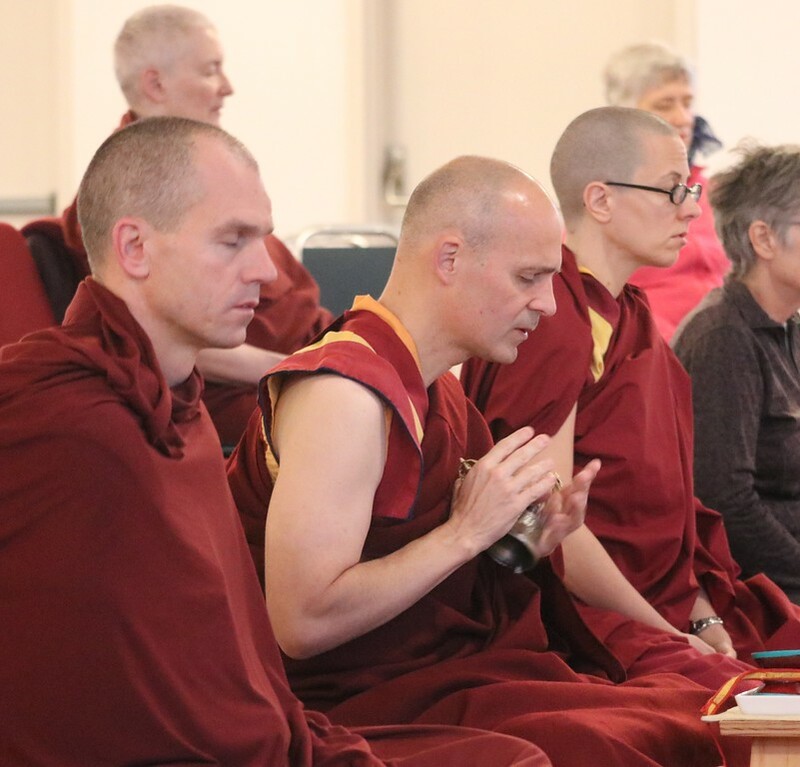 In the main building everyone gathered for puja on JeTsongkapa Day with Gen-la Jampa, and over 120 people from KMC Hollywood and KMC San Francisco enjoyed a group retreat on the Four Seals. 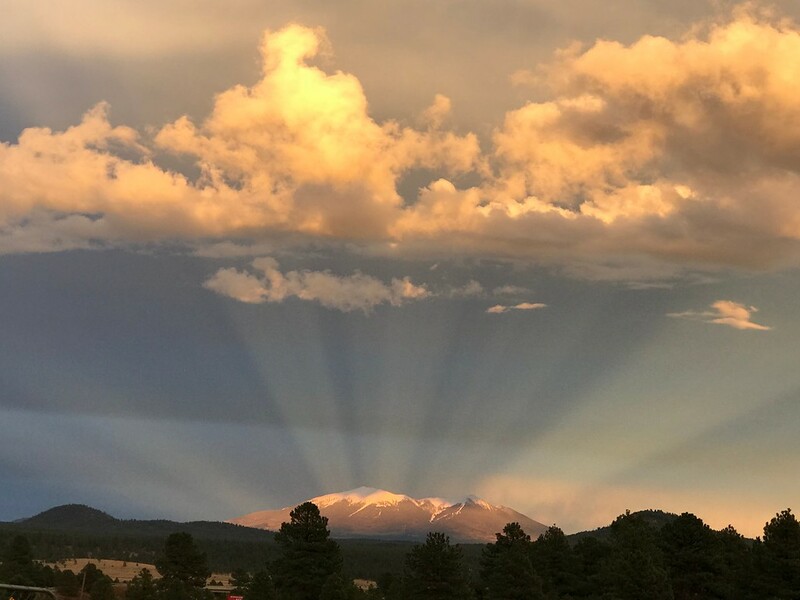 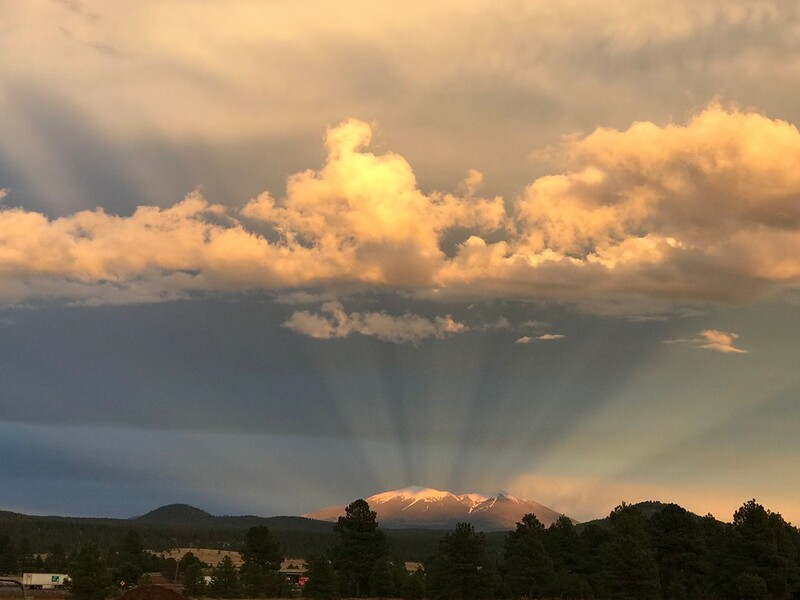 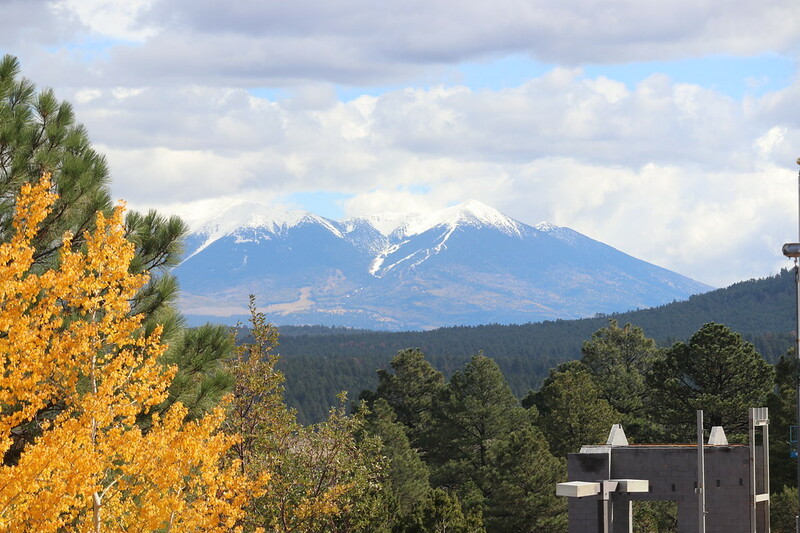 During the retreat there was an amazing sunset with the sun reflecting off the snow mountains casting beams of light into space. 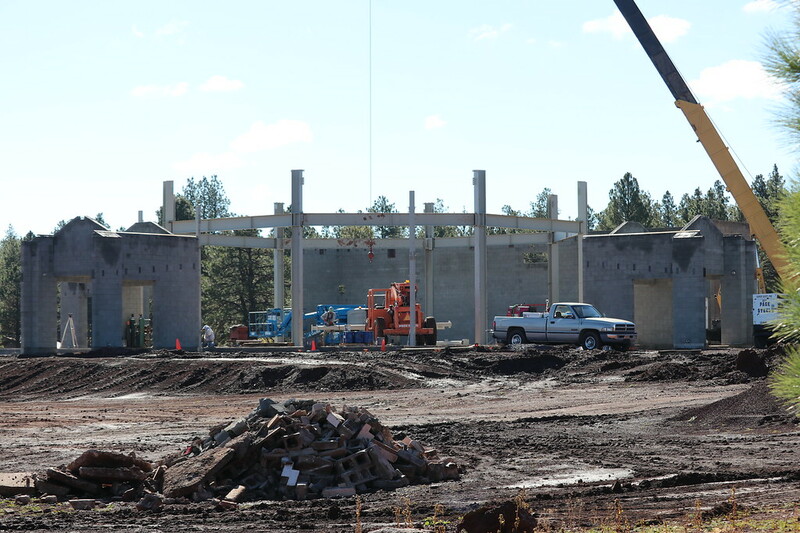 ← What’s happening at KMC Texas?